While the Upper Raush (5,582 ha) and Lower Raush (1,279 ha) are two distinctly separate protected areas, their adjacency and similarity warrant we document them as one unit. Created through the efforts of the Robson Valley Land and Resource Management Plan and the Protected Areas Strategy, these protected areas protect portions of an undeveloped, relatively pristine watershed. Located on the south west side of the Fraser River, just south of McBride, these protected areas have no road access or facilities of any kind. 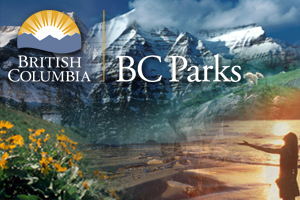 As part of the Northern Columbia Mountains Ecosection, these protected areas contain four biogeoclimatic subzones. Dominating the valley floor is Sub-boreal Spruce (SBSdh) while slightly upslope a rare variant of Interior Cedar Hemlock (ICHmm) exists. Higher yet, one finds Engelmann Spruce-Subalpine Fir (ESSFmm1) melding into Alpine Tundra (AT). There is no road access to either of these protected areas. There is an old road on the east side of the Raush River, on private land, and permission from the owner must be obtained. The Lower Raush protects excellent riparian wildlife habitat, while the Upper Raush protects a variety of biogeoclimatic subzones. Located on the south west side of the Fraser River, just south of McBride, these protected areas have no road access or facilities of any kind. There is an old road on the east side of the Raush River, on private land, and permission from the owner must be obtained. Approved Purpose Statement and Zoning Plan [PDF 1.73MB] is available online in pdf format. The park is open for hunting. Please check the BC Hunting and Trapping Regulations for more information.